Just north of the intersection of 112th and 16th, there was a sign up and many, many police cars. 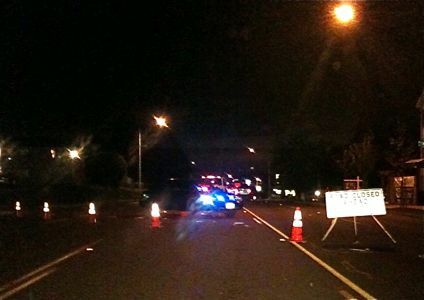 The sign said “Road Closed due to Accident Investigation.” This was approximately 40 minutes ago. We had to take a detour to get back to (West Seattle). Those are all the details we have so far. 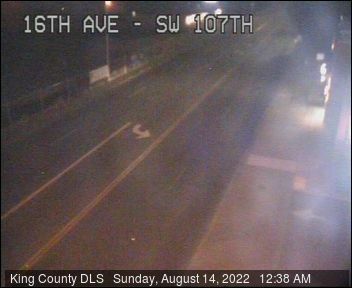 2 AM NOTE: Drove past the scene and tow trucks were taking away at least one damaged vehicle – it appeared 16th SW was about to reopen, after being shut down from just south of 107th to just north of 112th. As of last thursday (Nov 4th 2010),SophiaDymentof 9801 16th avenue SW was known as the Hang Around Bar & Grill, is now being sued by us (SEA 10-2-38363-8) for Damages that we lost from the business. Our attorney Gerald Robison filed action and we are seeking damages and will be asking the public for assistance if needed on our character and the character of the business itself. You may look up the case online (wa courts) as we will be suing this landlord for monatary damages and possibly the property itself. We miss White Center and do want to re open after this case is settled.